We just finished up our FOSS Magnet portion of the kit that we need to cover in fourth grade each year. 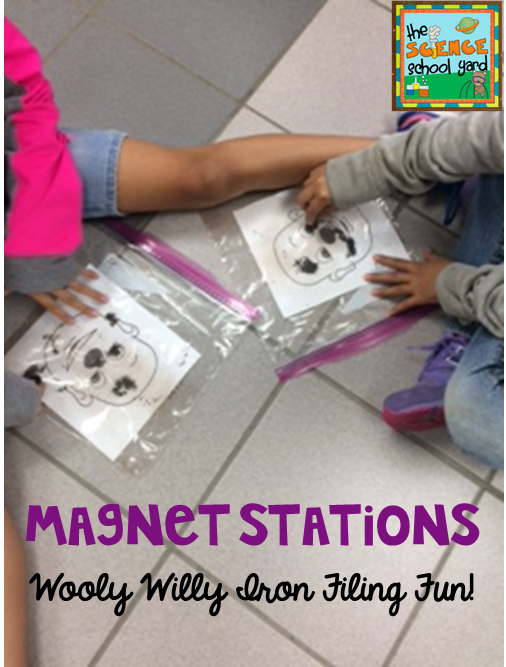 I love the activities and supplies that FOSS offers, but at times the fun of magnets is lost in the FOSS lessons. Our science standards that we are using in our city are based on 1991 standards from our state. This seems a bit outdated even though many of these concepts are seen in the new NGSS standards. Because our state has not adopted these new standards I like to take what we already have to do and integrate the new NGSS standards where ever I can. The great thing about magnets also is that the 3rd grade NGSS science standards of Forces and Interactions fit perfectly within the FOSS Magnet unit. 3-PS2-3 has students: ask questions to determine cause and effect relationships of electric or magnetic interactions between two objects not in contact with each other. So for example you could have students take two permanent magnets and see the relationship between steel paperclips with one magnet vs. the relationship between two magnets and those same steel paperclips. FOSS gives you the magnets, but how you use them to cover other standards is the key. You can also use the FOSS lesson of the farther apart magnets are the weaker the force...by testing and using the NGSS standards to prove the cause and effect relationships and how they culd show that the distance between objects affects strength of the force and how they orientation of magnets affects the direction of the magnetic force. As I focused on creating extensions of our magnet unit, I focused on 3-P S2-4. 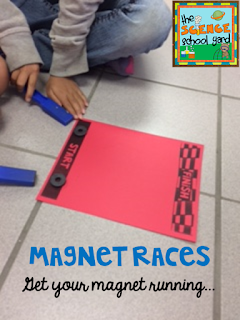 I created one of the activities that students can create a simple game design that can solve a problem as they apply scientific ideas about magnets. Maybe they could make a game that uses a latch to keep something shut or create a game that can keep two moving objects from touching each other... this then takes once again the FOSS Magnet section and extends it with activities that tie in NGSS standards. There is only one real way to teach them effectively with whatever standards you are working with...hands-on. Loving the magnets of FOSS, but not loving the lack of fun interactive activities...I made my own! When the students were done exploring the different lessons I had to do... such as permanent magnet interactions with a bag of objects to discovering the forces of attraction and repulsion there is so much more you can do with these concepts they could work on stations that were set up around the room. What I loved to see was how they worked hard to make sure that their FOSS sheets were done (requirement before they got to pick a station in the room...) You might also see in some of my activities that we did...we used the idea that FOSS had, but made it more kid friendly and connected it with their lives. 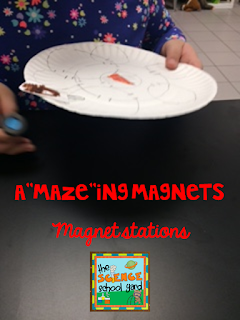 This connections help them understand the WHY of why they are learning about magnets! Check out the activities and stations that were set out for my students to choose from! Interested in this Magnet Unit for your kiddos? Find it HERE!